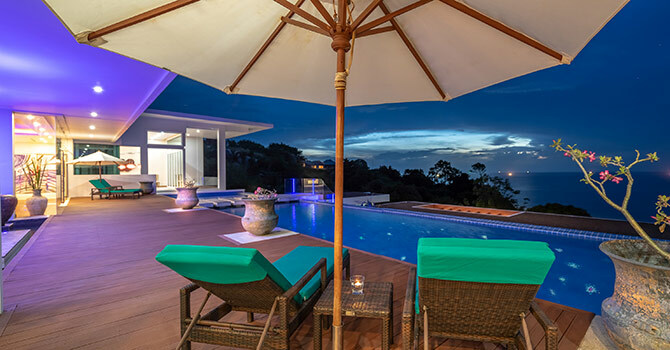 Villa Solaris in Kamala, Phuket is a 4 bedroom property with great spaces, amenities, and ocean views. A great entertainment venue with 3 swimming pools, home cinema, private gym, massage room, bbq area and many lounging areas inside and out. An open plan living area flows around the main swimming pool with lounge and dining areas and access to the elevator to the other floors. Light, airy spaces are everywhere inside, beautiful furniture throughout. 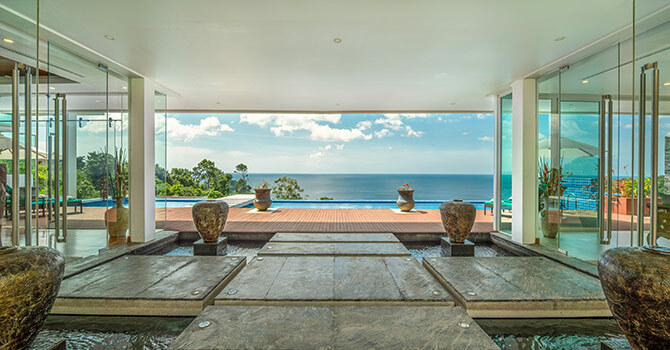 A sky bridge connects to the master bedroom pavilion with its private infinity pool. Tropical gardens and pathways run through the villa. 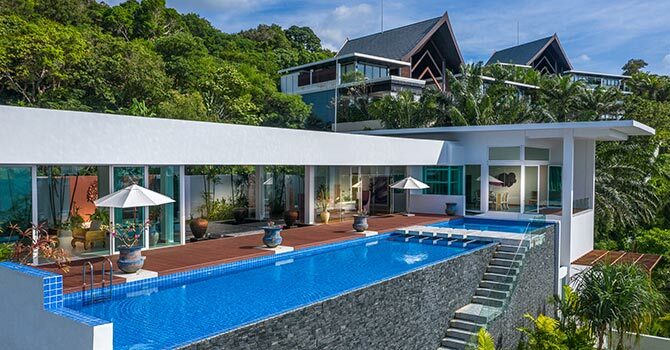 This stunning oasis is conveniently located just a ten-minute drive from beautiful Kamala Beach and only a short drive from all of the island's most exciting nightlife, shopping and adventure activities. 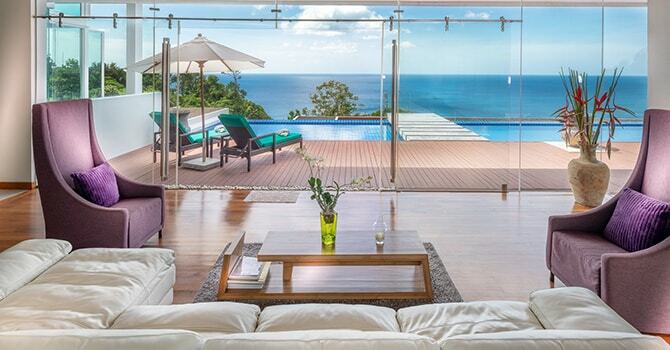 Villa Solaris boats four stunning bedroom suites, all with incredible views and large king beds. each bedroom is also conveniently fitted with its very own ensuite bathroom for the ultimate in guest privacy, even when traveling with a group.